Beach weddings are truly visually amazing events. Not only do they lend themselves to creating a uniquely romantic atmosphere, but they are also perfect for a small, intimate destination wedding. Given the uniqueness of this setting, there are several aspects that need to be taken into consideration when planning is involved. And these are not the regular things you think about when organizing a sand-free wedding. This article will help you keep all the issues in check and organize a memorable event that you will be proud to share with your loved ones. ​Yes, the climate is warm, and it is the perfect time of the year. But you shouldn't let your guard down. There are two main things that can affect the success of a beach wedding, at least when it comes to weather. Sun and wind. If you don't choose the right time of the day you might end up exposing yourself and all the guests to unbearable heat, which is definitely not a pretty sight. So opting for an evening event, as the sun is slowly setting can ensure that the temperature is tolerable. However, if it seems that the heat might still be an issue, consider installing some outdoor fans to ensure guest are comfortable. As for the wind, there is little you can do about it. Except maybe move the location a bit away from the water and put some covers on the sand around the wedding area. ​Now, this is quite important. Yes, you have informed your guest that it is a beach wedding. But this doesn't mean that they will know exactly how to dress to ensure their own comfort. It would be much appreciated if you send them an email a few weeks prior to the event that will contain some useful pieces of advice regarding the dress code that can help them enjoy the event in ultimate comfort. For example, suggest that they bring the right shoes for the sandy environment. Any pair from the Arizona Birkenstock collection will ensure that they are beach-ready, stylish and comfortable. Next comes the clothing. Stress the importance of light fabrics like cotton over the artificial ones that will make them sweat and feel uncomfortable. There are numerous comfortable options that are both elegant and sophisticated. This is very important. You will be outdoors, with the sound of water in the background and numerous other sounds coming from the environment. You want your guests to hear the entire ceremony. So it is advisable that you take microphones into consideration. You can hire professionals that will install a speaker system thus ensuring that your guests don't miss a single word that is said regardless of how big the wedding party is. 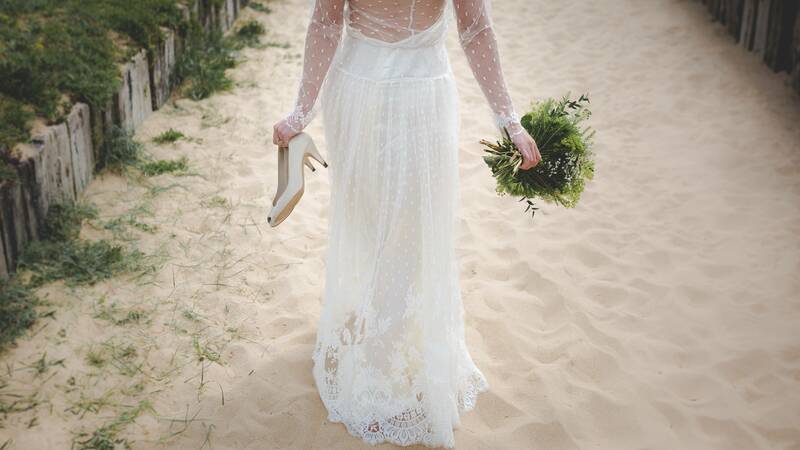 For a beach wedding, a light, airy wedding dress is essential. You need the freedom of movement and you don't want to be too hot. So if you want that ball gown, maybe a beach wedding is not the ideal option for you. As for the groom, a tux made of light materials, or maybe just pants and a shirt would work nicely. 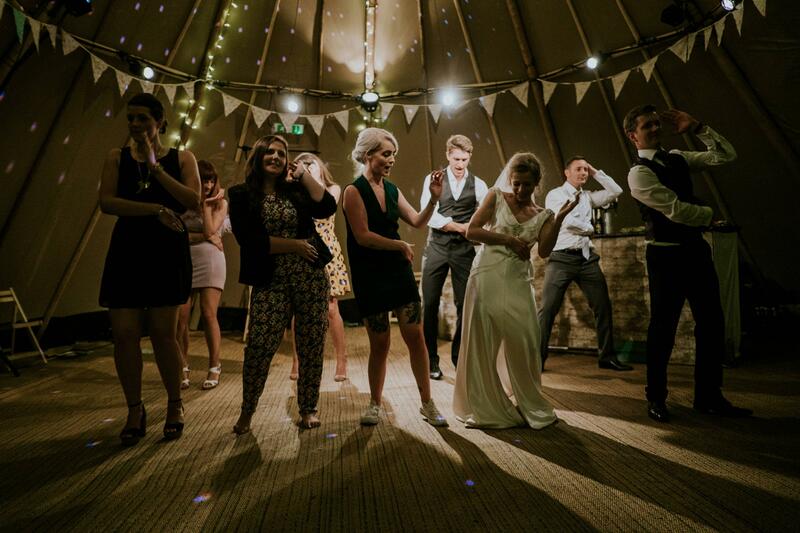 Yes, it is a bit more laid back, but that is what a beach wedding is all about, for you to feel laidback and relaxed. The same sentiment goes for hair and makeup. Less is better in this case. You should avoid heavy makeup and extravagant hairdos. First and foremost due to the heat, and the moisture in the air which cannot be avoided in beach weddings. You want your skin and hair to feel light and to look fresh and natural in the wedding photos. Sun, sea, sand. Of course, most guests are bound to bring their sunglasses without giving it a second thought. But do you want to have wedding pictures filled with people wearing shades? Of course not. So how to avoid it. Well, the first solution is in something that we have already mentioned, having your beach wedding in the evening when the sun is going down and sunglasses are not needed. And if some guest still insists on wearing them, have your wedding organizer or a member of your family stand behind the mic and politely ask all the guests to remove their shades so as to enable the bride and groom to have the wedding photos they deserve. Your beach wedding is now ready. All that is left is to enjoy the moment that you will share with the person you love and all of your friends and family. You deserve that one, perfect day filled with love and happiness. Congratulations!